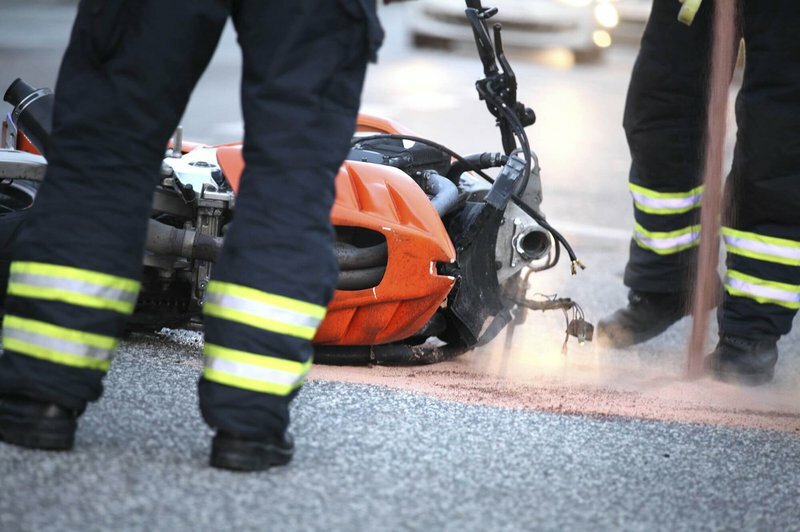 Motorcycle accidents are known to be some of the most damaging types of collisions. Motorcycles provide no protection between the rider and the road or other vehicles. As a result, motorcycle accidents often result in severe injuries, including traumatic brain and spine injuries. Unfortunately, the number of motorcycle accidents is high as well. These small vehicles are often not seen by other drivers. Sometimes the motorcycle may be in a driver’s blind spot, but often other drivers are simply distracted, or fail to be on the lookout for motorcyclists. One practice that is frequently linked to motorcycle accidents is lane splitting. Lane splitting is the act of driving a motorcycle between two lanes of stopped or slow-moving traffic. When a person is injured in a motorcycle accident involving lane splitting in the Boise, ID area, the experienced attorneys at Mauk Miller, PLLC can build a case to help the injury victim collect compensation for damages. Currently, lane splitting is only recognized as legal in the state of California, and even then, only when the motorcyclist is acting in a “safe and prudent” manner. However, while other states do not define lane splitting as legal, most do not explicitly call the act illegal. Still, in the majority of cases, the police force and court system will find the act of lane splitting to be unlawful. Because lane splitting is not considered a lawful practice in the state of Idaho, a motorcyclist who is lane splitting at the time of an accident is likely to be found at fault for the collision. If liability is assigned to the motorcycle rider, he or she will not be eligible to seek compensation from other involved parties for damages such as medical expenses, lost wages, or pain and suffering. If a motorcycle driver believes that there were other causes besides lane splitting that contributed to the accident, they should contact an experienced attorney, such as those at Mauk Miller,PLLC, as soon as possible. Our attorneys will consider all aspects of a motorcycle accident and work quickly to collect the evidence that is necessary to protect our client’s legal right to compensation for damages. If you’ve been injured in a motorcycle accident, it is important to work with an experienced attorney, such as those at Mauk Miller,PLLC. Contact us at your earliest convenience to discuss the details of your case and find out how we can serve you throughout the legal process.